On the whole, I like my models like the 1:1 cars: Bog Standard. But I’m willing to make exceptions. Like the Aoshima Grachan models. The 430 Cedric just qualifies for Radwood, as it was made from 1979 to 1983. 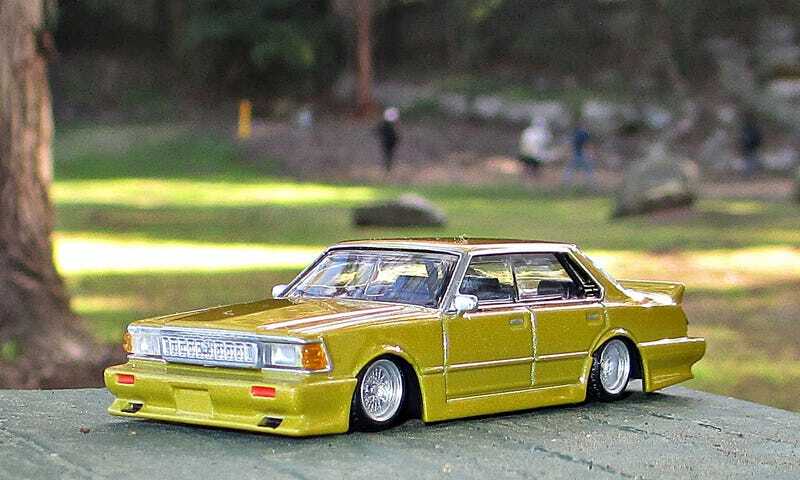 However, it is what the Japanese customizers did to the second hand cars in the 1990s that makes them a contender now. Inspired by the Group C Skylines and Silvias, they took the old luxo barges of the 80s, and went to town on them by adding huge wings and side skirts - like on the race cars. And while I would never do this to a 1:1, I do enjoy this kind of insanity in small scale.